Afterlight is an image editing app for quick and straight forward editing. This app has simple design, yet paired with powerful and snappy tools, you can add the picture effects you like with ease. - Use any of 15 uniquely made adjustment tools to enhance your images to perfection with ease. 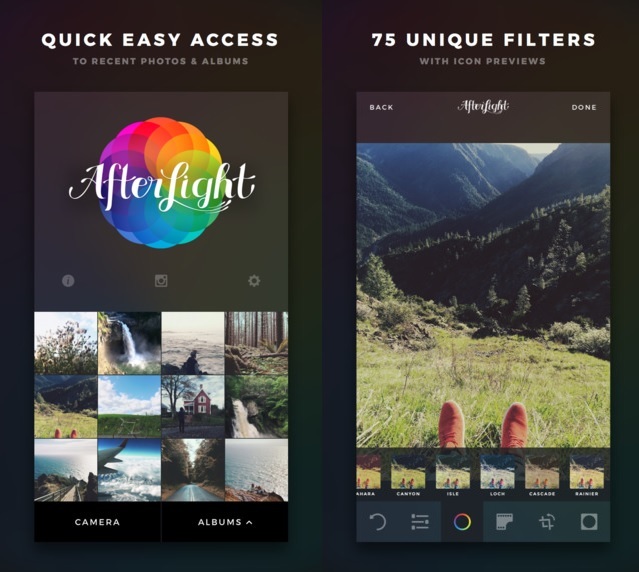 - Afterlight has 27 fully adjustable Original Filters, 14 Guest Filters by various Instagram users, 18 Seasons filters, and the new Wander pack including 15 filters. Now including the new Fusion filters, allowing you to mix tools, filters and textures to create your own personal filters. - Afterlight includes a range of real and natural light leaks which created with 35mm film and instant film, to simplistic scratchy film textures. - Crop your photos with quick and easy cropping tool with 15 different presets. - Transform your photos with rotating tool, vertical and horizontal flipping tools, and straightening. 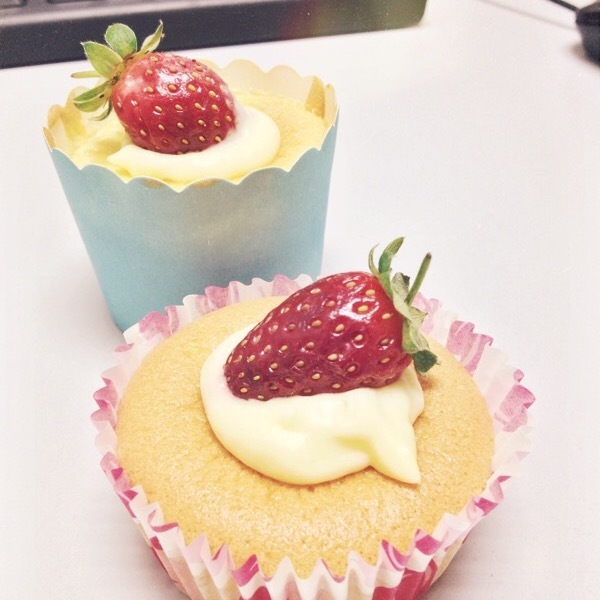 Now with the new Double Exposure tool. 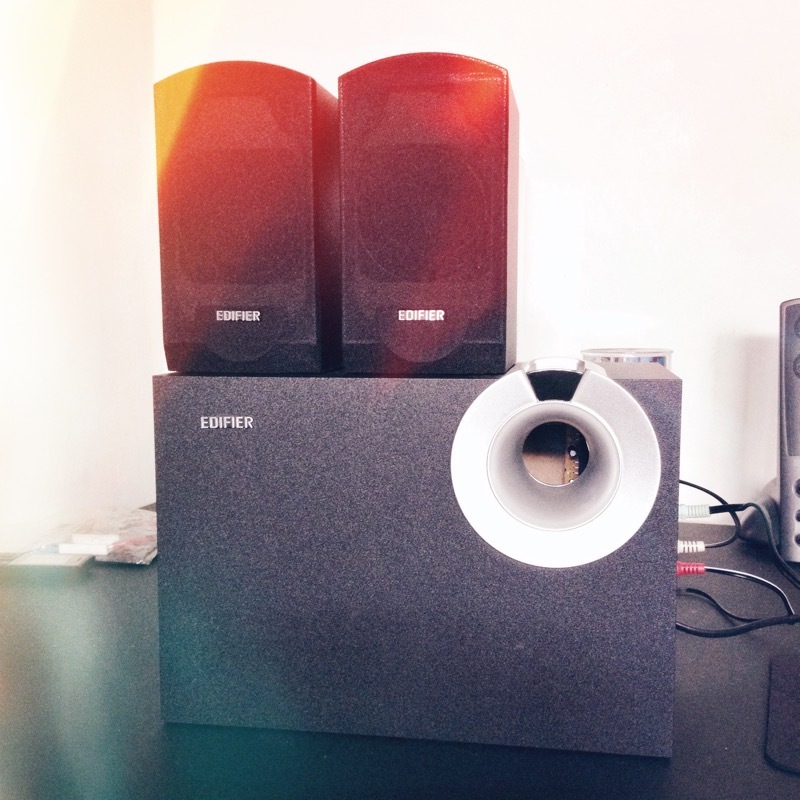 - Provide a list of 128 different simplistic and adjustable frames, paired perfectly with Instagram. Now including the new Wallpaper Pack. If your iOS device haven't installed Apple Store app, go to App Store and install Apple Store app. 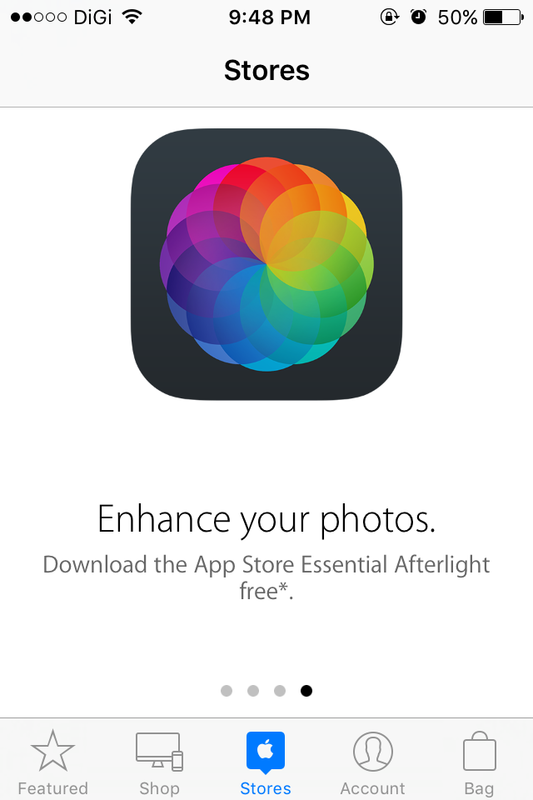 Open the Apple Store app, tap the Stores tab and scroll to the bottom and swipe left until you see a big Afterlight icon. Tap on it and follow the instructions to get the free download. The offer expires on January 10, 2016. If you can't find Afterlight in Apple Store app, go to the Account tab in Apple Store, edit the country to Australia. 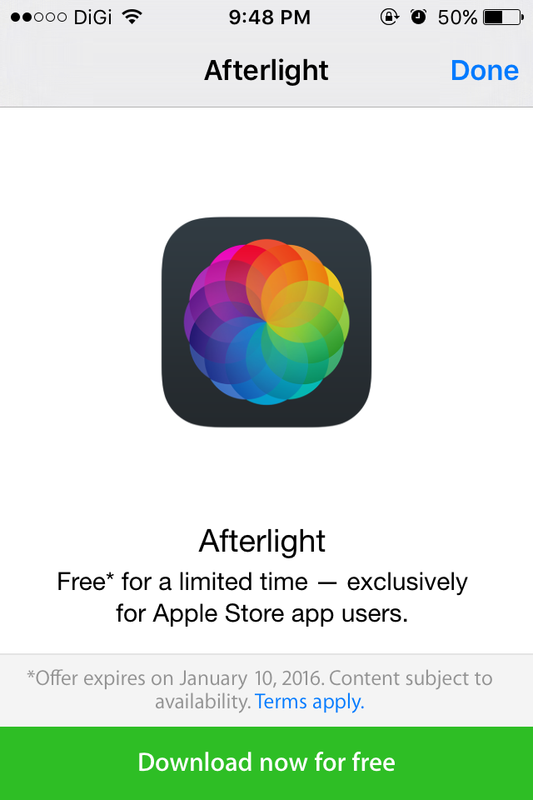 Now you should be able to find Afterlight in the Stores tab. Good app, you need to try it. I use this https://aurorahdr.com/, it's a software for PC, but no better. I really want to wait until when will this software for Smartphone. Nice post. I learn something new and challenging on sites I stumble upon everyday. It's always exciting to read content from other writers and practice something from other sites. You could try here: Best Encryption Software Android Apps & Nine Reasons Your Marketing Isn’t How To Encrypt A Password For Freeing.